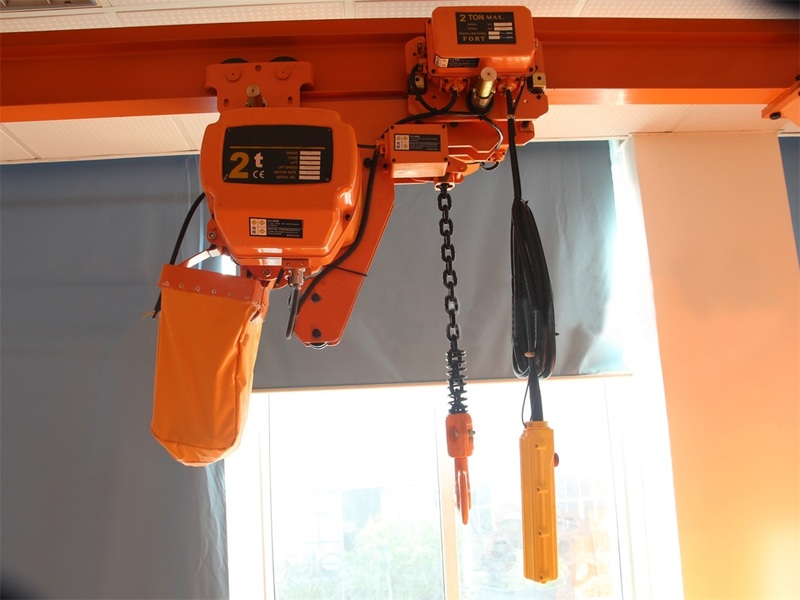 Electric Chain Block Hoist - Henan Jinrui Machinery Co., Ltd.
Electric chain hoist is a lifting equipment which widely used and necessary in Industry, it can be installed on single girder overhead crane, single girder gantry crane, jib crane and I-beam. * Controller voltage standard 24V. 1. Shell: Light aluminum alloy shell be adopted, which is light but hard and fit for the use in the terrible work environment with a high heat dissipation rate and all tightness design. 2. 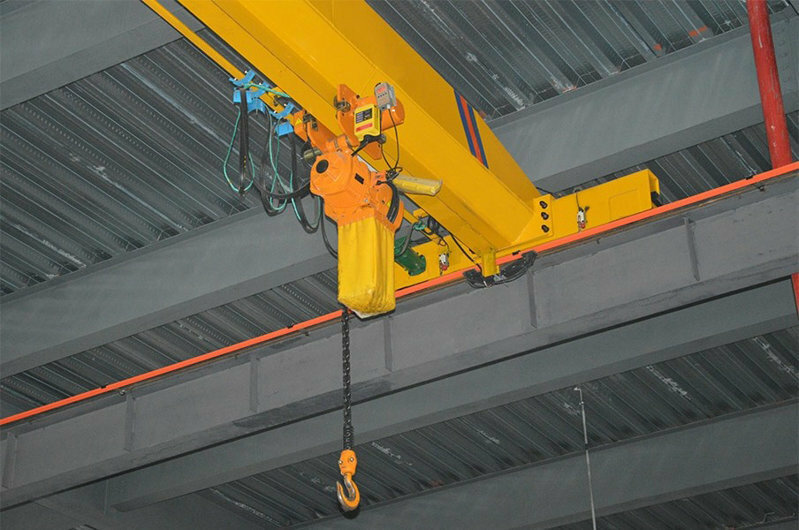 Hook: Top and bottom hooks are fitted with safety latches, drop forged steel suspension & load hooks are heat treated and fracture resistant. 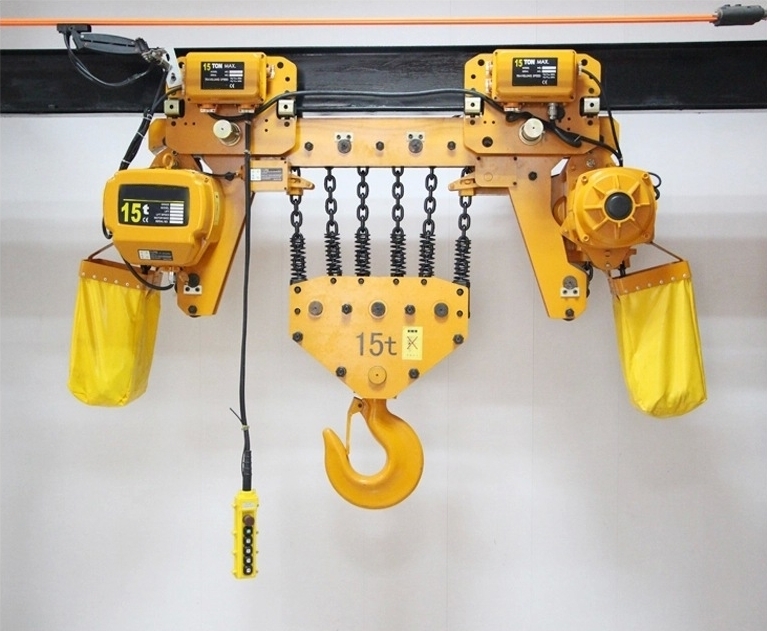 In case of dangerous overloading or abuse, the hook does not fracture but will slowly yield. 3. 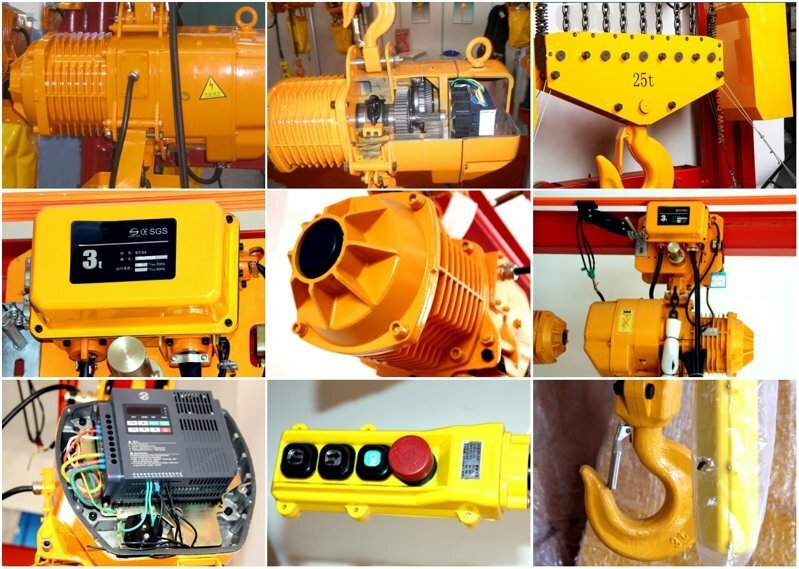 Limit switch: Limit switch device is install where the weight is lifted on and off to make the motor to stop automatically so as to prohibit the chains from exceeding for safety. 4. Side magnetic braking device: This device shall realize the instant brake in case of the power dump. 5. 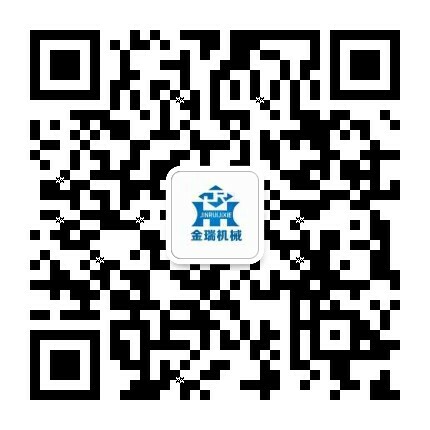 Chain: The chain shall adopt the imported FEC G80 ultra heat- treatable aluminum alloy chain, and with chain bag. 6. Overload protection: The unique friction clutch overload protection, which protects the unit from overloading. 7. Inverse phase sequence protecting device: It is the special electrical installation which controls the circuit not to work in case of wiring error in the power supply.